A great gift for the sports lover for any occasion. 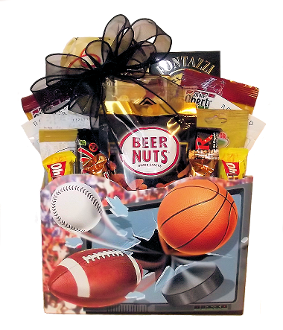 They can kick back, watch the game and enjoy this basket that is loaded with snacks including: Cucina Kettle Cooked Chips, Fontazzi Pretzels, 2 Dip Mixes, 2 Packs of Beef Jerky, Large Milk Chocolate Almond Bar, Caramel Popcorn, Roasted Salted Peanuts, Beer Nuts Brand Snack Mix, Corn Nuts, 2 Large Candy Bars and 6 Mini Candy Bars. Assortment may vary. Presented in a sports themed gift box. 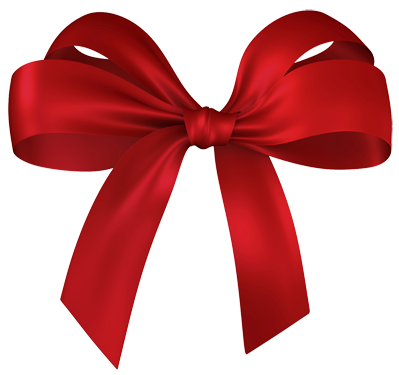 The finished basket will be wrapped in cello and decorated with ribbon prior to shipping or delivery. We will also include an enclosure card with your personal message. 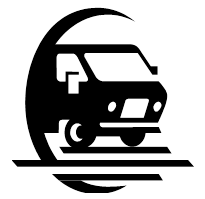 Canada wide shipping and local delivery is available.